2018 is predicted to be a promising year, just less than two weeks after the Lunar New Year, Sigma has “shaken hands” with great construction industry – IDG Vietnam Construction JSC with Sunshine Center Trade, Service, Office and Residential Complex and Ton Dan Hanoi JSC with Office Building and Office for lease at No.17 Tong Dan. Currently, only four office buildings are designed and built according to Grade A standards in Hanoi, including MB Grand Tower at 63 Le Van Luong, FLC Twin Towers at 265 Cau Giay, Doji at No.5 Le Duan and the Grade A office and building at No.17 Tong Dan. Sigma is honored to be the Main M&E Contractor currently deploying all four high-end projects. Along with several other projects that have been successfully implemented, Sigma has demonstrated its superior capabilities. 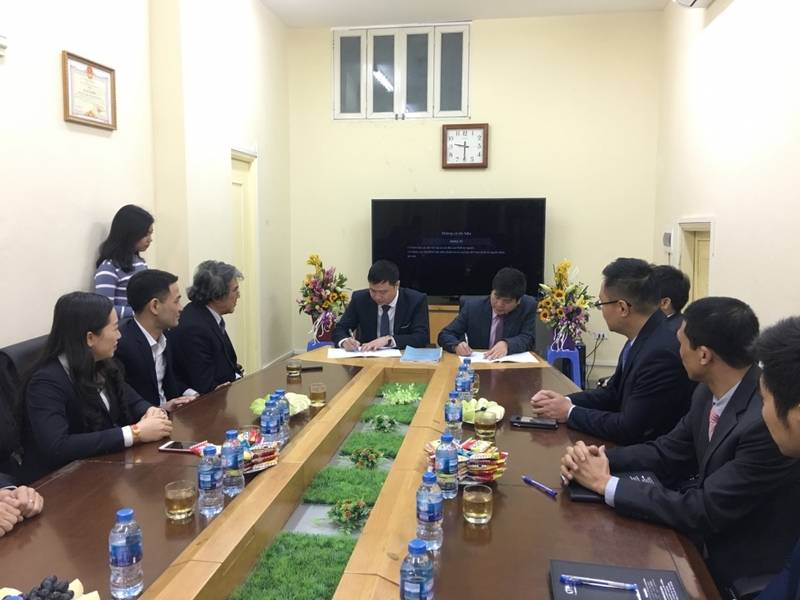 Mainly because of the "quality" and capacity of a great and professional contractor, Sigma has received the trust of the owners and continues to name themselves in the Grade A project at No.17 Tong Dan. 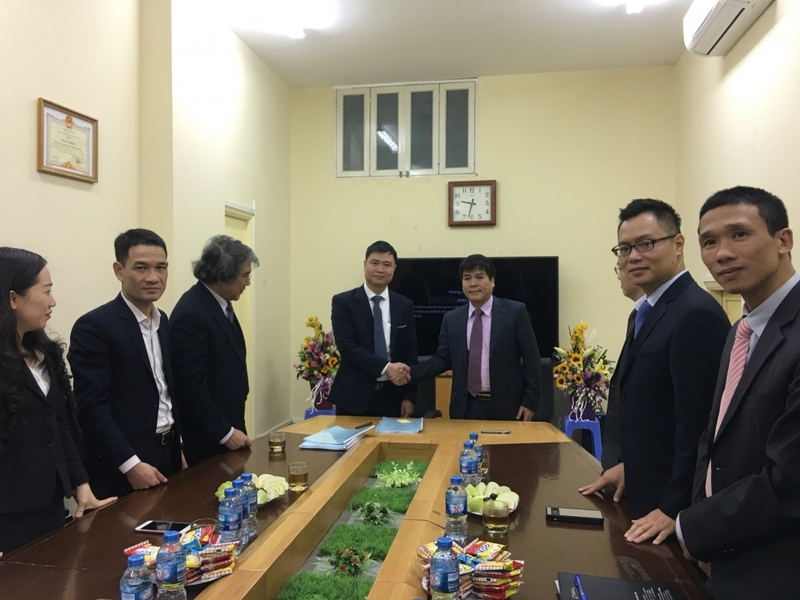 On 3rd March 2018, it marked a milestone on the road to success when the M&E package between Sigma Engineering and Ton Dan Hanoi JSC was officially signed. As planned, the M&E progress of the project is only complete within 5 months. This is a big challenge; very rare contractors can meet. However, with the strong human resources, solid financial strength and extensive experience in successfully deploying a series of large, high-end projects in the "lightening speed" such as FLC Quy Nhon Beach & Golf Resort within 3 months, Indochina Plaza Hanoi in 3 months, Emerson TDIP factory within 3 months, for Sigma, the challenge of progress and quality of this new project is within reach. Immediately after the contract was signed, Sigma mobilized skilled and proficient human resources, along with modern machinery and equipment, and implemented the site office within three days. Sigma is ready for this adventurous but equally exciting adventure. In general, the office and office building project is built on a total area of ​​3,557 m2 at 210 Tran Quang Khai Street and 17 Tong Dan - a piece of "diamond" land in ​​Hoan Kiem ward. Located next to many commercial centers and high-end apartments, the project also carries a stature of 22 floors and 4 basements. promising to put on his mark "hit points", in harmony with what has and contributed to Hanoi to match with the major capitals in the world. With this project, Sigma will be the contractor for supplying equipment and installation of M&E systems, including: electrical system, light electricity, water supply and drainage system, fire protection and HVAC system. Sigma's philosophy is always to be safe, top quality, so we are committed to always deliver products beyond the expectations of customers.